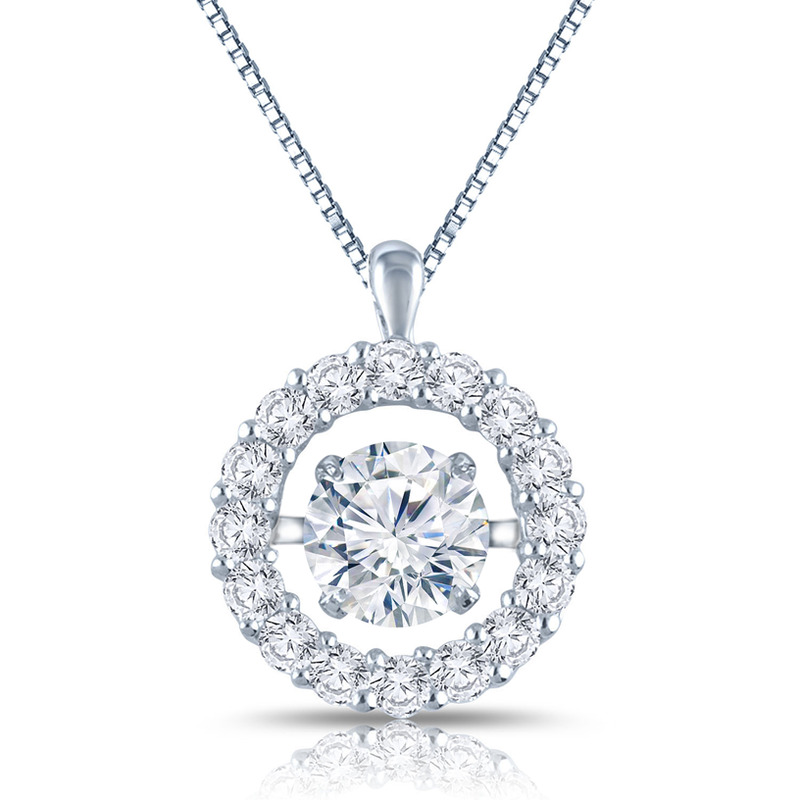 This alluring 14K white gold halo dancing diamond pendant is a spectacle of your class. 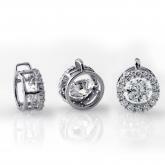 The center diamond dances to your rhythm and sparkles as you smile. 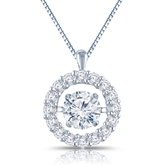 It features a 1.00 ct. center stone and 0.50ct side diamonds and comes with a matching gold chain that secures with a spring-ring clasp.